With more than 20 million students enrolled in colleges and universities and with the average cost of a four-year degree at nearly $10,000 per year (triple that number for a private institution), scores of Americans will realize now or later that higher education comes with serious financial implications — for them and their parents. Many students will finance their education with student loans. The average 2016 college graduate has more than $37,000 in loan debt, but there are ways to lessen that financial burden. From leveraging student discounts, saving on textbooks and cost-effective social activities to working while in school or being prudent about credit card debt, students can navigate the serious financial responsibilities of college life and come out ahead. Of course, it helps sometimes to have…help. 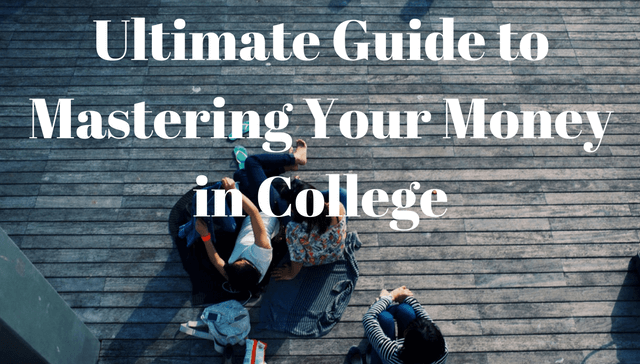 We developed this guide to be a comprehensive roadmap, something to keep you fiscally fit from your first days on campus to the very last year of your studies. According to the U.S. Department of Education, at least 87 colleges and universities require full-time freshmen to live on campus their first year of college. But the average of cost of room and board at U.S. colleges and universities was $11,188 last year, according to The College Board data. The University of Chicago offers meal plans that range from $4,650 to $6,009 a year. At the University of Washington, students can choose from dining plans that cost between $82 to $185 a week. Food costs are one of college students' biggest expenses and on-campus dining plans often are more expensive than cooking your own food or buying non-perishable items in bulk (cereal, granola bars, Ramen noodles, microwaveable soups, etc.) that can help you avoid trips to the dining hall. Stefan Sharpe, who graduated from La Salle University in Pennsylvania in 2015 and runs the blog The Millennial Budget, says paying attention to food costs helped him save thousands of dollars each semester. Of course, it's not always possible to cook your own food if your dorm doesn't have a kitchen. However, your school still may offer a discount for certain dining activity. The University of Texas, for example, offers students a 10-percent discount at some of its buffet dining centers when they use their Residential Dine-in Dollars instead of cash to pay for meals. Another way to save money? Pay attention to how many meals you actually eat each week. It's common for students to get a larger meal plan than they actually need. If you have back-to-back classes that run from morning to early afternoon, you may not have time for breakfast every day and only eat two meals a day in the dining hall. Switching from an unlimited meal plan to a points meal plan where you pay-per meal may be the better option and save you thousands of dollars every semester. If eating out is a problem, purchase discounted gift certificates from sites like Restaurant.com. The site frequently has promotions, including a current offer where you purchase $200 worth of gift cards for $40. This is a perfect gift for parents or relatives to give incoming freshmen or a great option for current college students who'll probably spend that much during one night out with friends. Many restaurants in college towns also offer discounts when you show your student ID card. Before you pay the check, always ask if there's a student discount. Even if it's 10 percent, that adds up. But eating free is even better than a discount, and there are plenty of opportunities to do this on campus. On-campus jobs can help you earn additional money for living and discretionary expenses. Wilson worked multiple on-campus and summer jobs throughout college. He was an intramural sports referee for Brown's athletic department, helped the camera crew tape sporting events, worked for a demolition company, was as a doorman and stuffed mailboxes. He also played football his first two years and worked as a resident programmer in a dorm, where he planned social activities for the students who lived there. Wilson even launched a side hustle where he'd buy televisions and mini-fridges when they were on sale and resell them to incoming freshmen at a markup. He did the same thing with textbooks. He also launched his own Uber-like service before anyone had ever heard of such a thing: during holidays Wilson would list his car on Brown's community news site and offer people rides to the airport for $25, a trip that typically cost $32. “Anything I could do to try to make money,” he says. Even if you're not as industrious as Wilson, a steady on-campus job throughout the school year may earn you enough additional money to pay for textbooks or social outings during the semester. Most colleges offer work-study jobs, where a portion of your financial aid is allocated for part-time work. When I was a student at Boston University, I worked as an office assistant in a residence hall and helped the director and office manager with various administrative tasks. One of the key parts of my job was giving students who locked themselves out replacement keys and helping with the move-in and move out process every year. I worked 10 hours a week and made about $60-70 a week after taxes — not enough to put a huge dent in my $42,000-a-year-tuition — but enough to pay for eating out, shopping, textbooks and trips home to Providence during holidays and school breaks. One of the most frugal things you can do to defray room and board costs is to become a resident advisor (RA). RAs get to live on campus for free and get a free meal plan. Sometimes these gigs even come with a small stipend. At UC Berkeley, for example, RAs get free room and board, including an unlimited meal plan and living quarters that range from a single room to a shared apartment. That puts a significant dent in the school's $28,502 yearly cost of attendance. But being an RA is still a job, one that comes with responsibilities like community development, welcoming new residents on move-in day and orientation, organizing programs and social activities and acting as a mediator during roommate conflicts. It's another job on top of your main one — being a full-time college student — but the work could lead to more than $40,000 in savings over the course of your college career, depending on the school. When you turn 18, you're officially an adult and that means you may start to see credit card offers in your inbox and mailbox. These offers are tempting and can feel like free money, but they also can put students in an ever deeper financial hole. According to Sallie Mae, the average student put $2,150 on a credit card to fund his or her education. More than 8 percent of students also carry a balance of at least $3,000 every month, according to a Ohio State University study. For parents who are worried about the pitfalls of credit card usage, a safe alternative is to add your child as an authorized user on one of your credit cards. That way you can monitor their charges and guide them about how to use credit. A secured credit card, which requires a security deposit that will equal the spending limit on the card, is a good option for first-time credit card holders, too. A secured card with a $500 credit limit can do much less damage if a college student becomes financially reckless than a card with a higher limit and APR. The only downfall with a secured card is that they often have higher interest rates. However, they help college students build their credit profile, allowing them to transition to a regular unsecured credit card after a year or two of good credit behavior. Student credit cards, which often have lower limits and offer incentives like points for dining and shopping and cashback for good grades, are another alternative for college students wading into the consumer credit market for the first time. Fortunately, federal law has made it more difficult for college students to get into credit card trouble. In 2009, Congress passed the Credit Card Act, which allows credit card companies to offer products to consumers under age 21 only if they have verifiable income. Because of the new law, most college students will require a cosigner to get a credit card. Parents can take on this responsibility to help their kids build credit, but there's a major caveat here: your child will get the card in their own name and will receive the bill each month, making it easier to hide financial misbehavior. Depending on how responsible your kid is, co-signing might not be an issue. But if your child has a tendency to overspend, a secured card or adding them as an authorized user may be the more prudent option. A Roth IRA allows individuals to save after-tax dollars and earn interest on the investment. It's often used to save for retirement, but that doesn't mean college students can't leverage this savings vehicle for tuition and living expenses. There's no minimum age requirement and earning and withdrawals are tax-free if the money has been in the account for at least five years (For 2016, the maximum contribution limit is $5,500). The IRS also allows withdrawals for education expenses — helping you avoid the 10-percent penalty tax that the agency applies to early withdrawals (but keep in mind that you may have to pay income tax on these withdrawals). But Mark Kantrowitz, publisher and vice president of strategy at the college and scholarship website Cappex, said families should be cautious about how they use a Roth IRA. “Distributions from a Roth IRA, even a tax-free return of contributions, count as income on the Free Application for Federal Student Aid (FAFSA). This reduces eligibility for need-based aid by as much as half the distribution amount,” Kantrowitz says. If you open the account during your freshmen year, a Roth IRA won't have an impact until you apply for financial aid the following year. For college students who are only putting money into these accounts from a part-time or work study job, the financial aid and income tax implications may be negligible, while giving them the flexibility to access these funds for education expenses or rely on the compound interest generated from these long-term savings to pay back student loans or get a head start on building their retirement nest egg. “Sign up for a full course load. Enroll in the maximum number of credits allowed each semester without a monetary increase. For example, if your school charges the same tuition rate for a range of credits (i.e. 12 to 18 credits), register for 18. It's as though you are getting an extra six credits free. “Rent your textbooks. Go to chegg.com, bookrenter.com, or campusbookrentals.com. Some universities even offer rentals in their bookstore. According to Census data, about 25 percent of college students live off campus. Students can use financial aid money to pay for an off-campus apartment, but they must calculate whether these funds will be enough to cover this living arrangement. When you fill out the FAFSA, you must indicate your living plans. Your school's estimate for the cost of off-campus housing will determine the amount of aid you receive for room and board. However, as the real estate website Trulia recently outlined, colleges often miscalculate how much off-campus housing costs — and these estimates typically are lower than reality. Trulia found, for example, that George Washington University in Washington D.C. estimated off-campus housing at $12,050 when it would actually cost more than $14,000 for two roommates to share a two-bedroom apartment for the school year. You easily could defray this cost by living with more people, but it's still critical to do the math beforehand. Negotiating your first lease: In some big cities, an apartment lease may be non-negotiable. In Boston, for instance, where college students comprise 34 percent of the entire state's college enrollment population, good luck trying to negotiate a lease when you're competing with thousands of other college students who need housing in September. But if you're looking for an apartment during non-peak seasons or in a tough rental market, you may have more luck getting the landlord to lower the rent or the security deposit. Most college students require a parent to cosign the lease if they don't have a credit history, a verifiable income or if they haven't turned 18 by the beginning of their freshman year. Be careful about choosing roommates: If you'll put the lease in your name or your parents', living with a roommate could lower your living expenses. You may be able to charge them more rent if they take the larger room or because you'll take on the financial risk of putting the lease in your name. A word of caution: thoroughly vet anyone you plan to live with. Ask for references and do a background check before you allow them to move in. To find a roommate, place your apartment listing on a student listserv or bulletin board. Another student who also receives financial aid may come with more assurances than a stranger from Craigslist you don't know. Most colleges also maintain lists of off-campus housing, so start your search there. When you live with another person, keeping track of who pays for what can be tricky, especially when it comes to utilities. Use a free bill-splitting app like BillPin or Splitwise to keep a running tally of who owes whom. If you pay the electric bill and your roommate pays the cable, do a bank of PayPal transfer to settle the bill and have a record that you've done so. Save on Groceries: One of the biggest benefits of off-campus housing is that you can cook your own food. Set a weekly grocery budget and buy items in bulk to save money (Wilson, the Brown graduate, says he'd sometimes use his friend's Sam's Club membership to buy food and other non-perishable items). Consumer finance expert Kevin Gallegos, vice president of Phoenix operations with the online financial services firm Freedom Financial Network, says students should shop strategically. “Check the unit pricing displayed on tags on store shelves or calculate it yourself. Mid-size packages sometimes will be the best purchases,” Gallegos says, adding that buying larger sizes of food items that require prep can save you money compared to pre-cut or bagged items. Warehouse shopping also is a good bet. Save on Utilities: Make sure all the utilities are turned off when you're not in the room. Buy energy-efficient light bulbs to save on electric costs. Turn down the thermostat when you aren't home and turn down the temperature on the hot water heater, if you can access it. Most people keep the hot water heater around 130 degrees Fahrenheit or higher, but lowering the temperature is a hidden way to save costs. Only wash dishes in the dishwasher when it's completely full and let dishes air dry to reduce your energy costs. And if your landlord allows it, replace existing shower heads and faucets with aerating or low-flow attachments that will lower your water bill. Open a checking or savings account to keep track of your inflow and outgo when you live off campus. This will help with budgeting and help you establish responsible financial behavior. Shop around for one that has convenient ATM locations, online banking, minimal or no monthly maintenance fees or open an online savings or checking account that comes with perks like lower fees and no balance or deposit requirements. Room and board isn't the only expense you'll incur in college. Social activities are integral to a great college experience, too. But how do you not overspend on these activities? If you have to fly to your destination, subscribe to money-saving travel apps like Skyscanner or Hopper. Skyscanner is a 3-in-1 app that shows users the lowest price for flights, hotels and cars-for-hire. Hopper lets you know the best time to buy airfare for the lowest price. If you'll travel by ground, take advantage of student discounts. Amtrak has a Student Advantage card ($20) that offers a 10-percent discount on most train tickets and discounts at other major retailers, including Target, Footlocker and the ridesharing service Lyft. If your parents have a AAA family membership, you can save on hotels, train tickets and up to 20 percent off at Hertz rental car. For spring break, save money on travel by booking a vacation package. Groupon offers getaway deals, but read the fine print before you book to see if there are blackout dates. Travelocity is another good place to find deals. I once booked a last-minute travel as a Travelocity vacation package and saved 50 percent on the trip, huge savings compared to if I had booked our hotel, rental car and airfare separately. If it's not in your budget to travel, combine it with work to save and earn money at the same time. Become a summer au pair, a gig that lasts anywhere from one to three months. AuPair World and Au Pair International are great resources for these opportunities. Even without spring break, there are plenty of social activities year-round on campus — and most of them are free. “I was very curious and liked to try new things. I had several friends that were involved in dance and theatre, so I'd go to their shows. One of my best friends was in an improv comedy group. Those things are on campus and they're free and you're friends are there,” Wilson says. Wilson, who graduated from Brown debt-free and funded college on his own, employed an interesting strategy to pay back his loans before he graduated. Wilson used the money from all the jobs he worked to pay down the student loans he had borrowed that year. He'd do this before he applied for financial aid for the following school year. The strategy left Wilson with very little savings, but still allowed him to qualify for need-based aid. Wilson, who grew up on a farm in Alabama and whose parents couldn't afford to help him pay for school, says he gave his dad one of the best gifts imaginable when he graduated. Admittedly, most students won't be able to do this, but that doesn't mean they still can't prepare. Mark Levy, editor of the education site Edvisors, says students should sign up for direct-debit before their loans enter repayment. “Not only does automatically transferring loan payments save on postage and avoid late payments, but many lenders offer a 0.25 percent or 0.50 percent interest rate reduction to encourage borrowers to make payments and receive statements electronically,” he says. Levy also recommends students repay loans with the highest interest rates first. Unsubsidized loans begin to accrue interest while you're still in school. Even if you don't begin to pay the monthly installments, contact your loan servicer and begin making payments toward the interest. Student loan interest may be capitalized, which means that it'll be added to your loan balance. Paying off the interest while still in school helps you avoid this. Students sometimes get more loan money than they need. If your loan servicer sends a refund check for your remaining loan balance, it may be tempting to keep the money but it's wiser to send it back. But first talk to your financial aid adviser about how to do this and make sure everything is properly documented. Even before you reach this point, Wilson says it's important for college students to understand the financial implications of getting a degree. 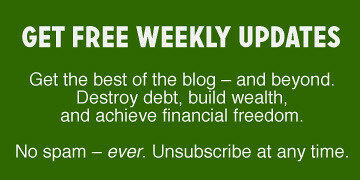 There are 4 reader responses to "Ultimate Guide to Mastering Your Money in College". definitely play a huge role on budgeting money. Thank you for this article. As a college student who lives off campus, I try as hard as I can to save as much money whenever I can! I no longer have a meal plan, and since then I have saved an abundant amount of money! I also switched from grocery shopping at Publix or Target and now shop at Aldi. It is great for college students or even non-college students and their produce is always fresh and inexpensive! Are you sure 20 million students enter college each year?